Webinars have proven to be a powerful marketing strategy, therefore, hosting your own event will undoubtedly be a smart marketing strategy for your business or brand. 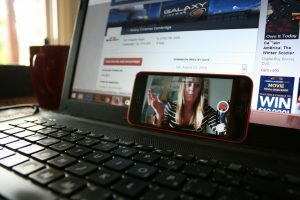 Now if you’re considering setting up your webinar, here are 9 ways it’ll help you attract new clients and grow your business. Hosting a webinar doesn’t only let you showcase your products and services, but your expertise, skills, abilities and industry knowledge as well. And what about the human element? Webinars allow you to put a real face to your business. Your audiences can identify with your face and become emotionally invested in your business. Think about it, how much do you think prospects can know you in a 30 second commercial? A little, right? Engaging your prospects via webinars lets your prospects to know you on a deeper level. After all, people only do business with people, not companies. With a webinar, your attendees have the chance to know your person, admire you and trust you from the content you share. With the question and answer segment of an interactive webinar, you get to know your target audience, their challenges, expectations, and needs. And with that, you are able to understand what motivates these audiences and create tailor-made products and services that match these needs. Hosting webinars let you easily promote your business or brand – especially when you’re consistently feeding your audience with topnotch content and not simply handling it as another sales pitch presentation. And when you also factor the nonexistent additional overhead, promoting your brand via webinars is incredibly cost-effective. With very little or no financial outlay, you can skyrocket the outreach of your nosiness. Conventional seminars, meetings, and even conferences are no doubt expensive to set up. Interestingly, you can drastically reduce this high costs with webinars, especially with the wide variety of affordable webinar software solutions out there. All that’s needed is a broadband connection, webcam, and microphone. You might have only held your webinar – but that’s not the end of it. The content can be repurposed to offer the same value to those who couldn’t attend the webinar. You can convert your presentation into an eBook or series of blog post. 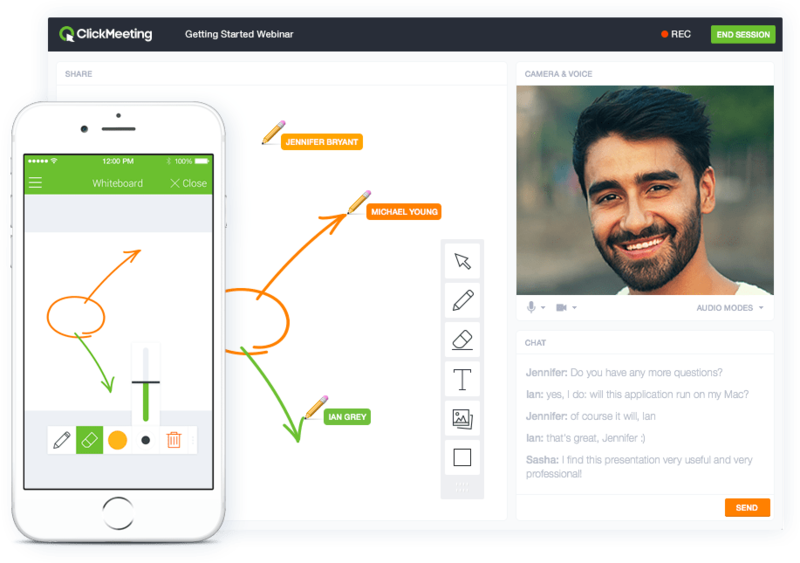 This lets you share your webinar content in other engaging ways. When you re-purpose your content, your audience is able to relive your content and better understand your content as much as possible. Webinars, unlike traditional conferences, are extremely easy and cost effective to record. If you an audience base that’s big enough to monetize, you can simple set up a paid webinar event. In so far your webinar is guaranteed to offer genuine value to your customers, your customers wouldn’t mind parting with a few bucks. And with a relatively unlimited capacity for attendees, you can easily generate an added revenue stream via webinars. With the sign-up forms for your webinar, you can collect lead information such as email, addresses and job titles. Even better, the information and education that you offer in your webinar can be used to inform your audiences about your products and services – thereby creating a strategic sales lead in the process. The benefits highlighted in this piece reflects the power of hosting your webinar. If you’re looking to boost your revenue, create cordial relationships with clients, minimize your costs and establish your credibility, then its time you begin to hold that webinar. Show the registrant numbers: social proof as a demonstration of the herd mentality is one thing that gets talked about a lot. “Join the 10,000 people who have registered for this webinar.” Really, sign me up. Now that’s how it works. Urgency: tell people to hurry up. Setting up a maximum number of available “virtual seats” lets people be more inclined to sign up quickly because they don’t want to miss out. Indeed, nobody wants to be left out in something interesting. Show what’s next: make sure that your website has a calendar showcasing your upcoming webinars. This can get sign ups in advance which you can then market to on the lead up to the main event. Share free content: one exemplary way to convert your leads is to share valuable free materials. Practically, you can share eBooks with the people who have registered for your event. This way, you can facilitate easy conversion of your leads. Follow up: after a successful event, send email to your attendees with a recording of the event. Also, include links to other closely related free content to the webinar they just watched. Trust me; they’ll love it. QUESTION: What’s been your most significant challenge in hosting your own webinars? Do share with me. I’ll like to hear from you.